Ball, George, Jr.–(1951-)--was born in the suburbs of Chicago in 1951. He was the son of Carl Ball, who was one of four brothers that took over the Ball Seed Company in 1949 when their father died. In 1963, George started harvesting petunia seed for his family’s business, and he worked for the company in Illinois and Costa Rica during the summers when he was in high school and college. In 1971, after studying at Bard College and De Paul University, he joined Ball Seed as an assistant grower. He rose through the ranks and was appointed president of Pan American Seed in 1984. 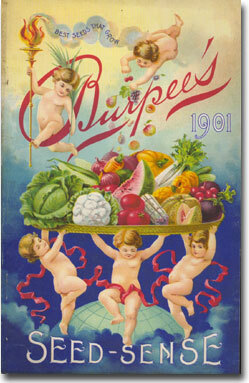 In 1991, George acquired the W. Atlee Burpee & Company and became president.